All new after school extended care program offered daily from 3:15pm to 6:00pm, Monday through Friday at a cost of $35 per day of the week per term (8 weeks). The after care option until 6:00pm will also be offered following enrichment classes. (See classes for added fees). Pre-registration with prepayment is required for all classes as well as extended care options (See below for fees). Please contact Tracy Peters for further information tpeters@thehelpgroup.org or 818.778.7136. Introducing a fun and energetic class where kids participate in a variety of interactive physical games including kickball, dodge ball, capture the flag combined with an assortment of challenging sports training fitness stations. This program encourages positive social interaction, team building, and gross motor skills development. An introductory class where students learn how to create new worlds through digital animation, develop skills designed to create and maintain quality websites through coding, as well as build, wire and program your own bot! perform an original musical production. Highly Popular class which includes round trip transportation,instructions, bowling shoes, game play, tournament and a whole lot of fun with peers at Mar Vista’s Bowlero Lanes. Kids dance with joy in this new class that introduces and builds skills in a number of dance genres such as hip hop, modern dance and more! Dancers have fun learning techniques, steps and even choreographed group pieces while working on concentration, coordination, strength, flexibility, and overall body conditioning. A fun and important skill building class focused on healthy recipes and culinary skills. Kid chefs will learn, prepare and enjoy various recipes each week ending the session with a party & a recipe book to take home. Introductory class to include learning about camera functions, photo-composition, how to improve picture taking, and also photo editing. Bump, set spike! Introductory class teaching the fundamentals of volleyball and teamwork. If you have a love for singing and music, this class is the place for you! 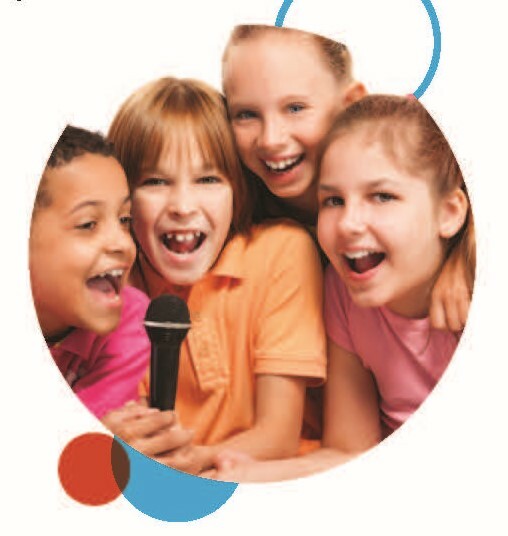 Students will learn to sing as an ensemble in a fun, encouraging, nurturing environment. The final class will be a performance showcase for family and friends. A class that encourages artistic expression while exploring a variety of art media to learn technique and create individual masterpieces! Staff supervision and snack are provided at no extra charge for Help Group students after school to the start of classes. All classes meet for 8 weekly sessions from 4:00-5-15pm unless otherwise noted.